Good morning everyone! Yesterday, on presenting Jane, I forgot to tell you that she was my third doll for the year 2013 and was actually made in the month of April. 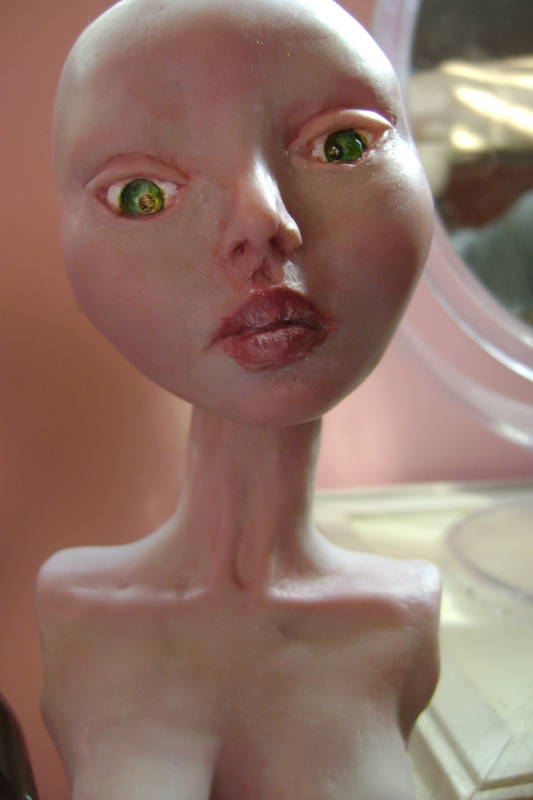 Her handmade eyes are a combination of Fimo Classic polymer clay and Preciosia crystal. She also stands 18 inches (45,6 cm) tall. 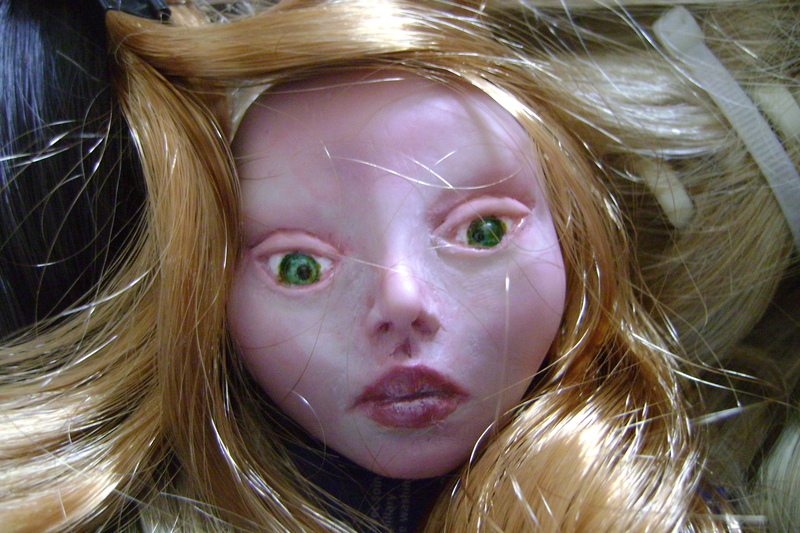 Sorry for the photos…my actual camera doesn’t do the doll justice and I’m thinking of buying a new one as a Christmas gift for myself. Enjoy! Thank you all: 150 followers!